DISCLOSURE: This blog may generate ad income and accepts advertising ads and links. This blog reserves the right to reject or remove any ads that it feels are not suitable to the audience in which it serves or is offensive in any way. 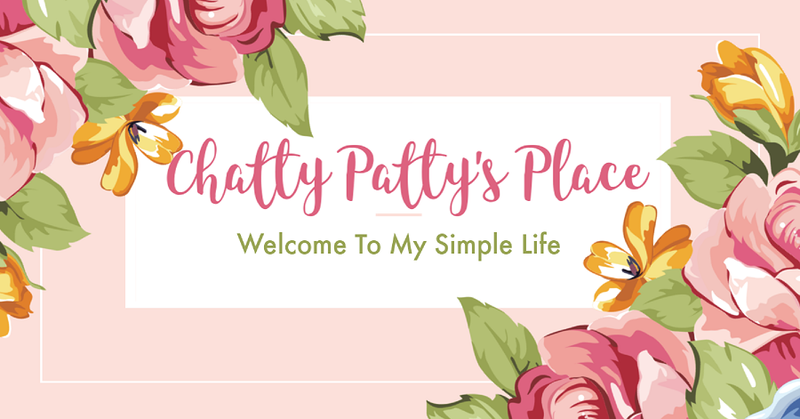 I have 2 blogs including Chatty Patty's Place and My Great Big Beauty Filled World. This blog is PR Friendly! I love to do reviews for products and services that are family-friendly and improve the lives of my readers. Some of my favorite product reviews include famiy friendly items, movies, toys, entertainment venues, local events, travel, beauty, home decor, kitchen products, clothing, shoes, food, gifts, electronics and technology. Travel Note: I am available for gratis domestic travel and love to travel often with my husband. 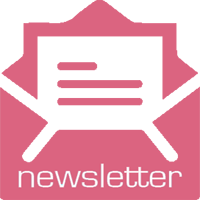 Contact me for more information on my outreach..
A blog post is a wonderful way to promote your products or services to my readers around the world. An entire post will be dedicated to the review of your product. Personal photos will be taken during review of products or services, to be included on the blog post. Products must be family-friendly. All posts are shared multiple times across my social media accounts (Facebook, Twitter, Pinterest, Instagram, etc.). I am also available to do video reviews. All of my opinions and views are honest, and if for some reason I cannot give a positive review, I will contact you first before posting. I am under no obligation to write a post if products are sent to me without prior notice. Not all products will be accepted for review. (No Controversial or X-Rated items) No Political or Radical items. I am self-employed and my blog is my job. I am paid for my time, either in product or payment (or a combination of the two). I accept Paypal. All payments are due in full before the post goes live on my blog unless otherwise discussed. Posts go live in order of product/payment received, unless otherwise agreed upon in advance. Sidebar Button Ads - Space is available on the right sidebar of my blog. These ads are seen on all pages of my blog, not just the home page. Multiple, consecutive-month ads are granted a bulk discount if arranged and paid in advance. Product (or service) Review Only - A product review is a single post featuring your product. Products for review will be disclosed prior to agreement, unless agreed differently . Review items are not returned to sponsor. All links on my blogs are nofollow links. All posts are shared to social media upon request and may be subject to a charge which would be agreed upon beforehand. If I choose to pass on a product review, you may be offered the sponsored post option. Product Review Plus a Giveaway - Products for review must be disclosed in advance . If giveaway is offered, prize must be disclosed at time of agreement. Prizes are to be shipped at sponsor's expense to the winner, after blogger provides winner's information to sponsor. There is no charge for a giveaway with product review. All links on this blog are nofollow links. All posts are shared to social media at no additional charge. If I choose to pass on a product review, you may be offered the sponsored post option. Giveaway Only (with no product review) - Prize value will be agreed in advance. Remember, the higher the prize value, the better the reader response! To create, promote, and monitor a giveaway only, there may be an editorial fee. All payments are due in full before the post goes live on my blog. I accept payment via Paypal. All links on this blog are nofollow links. All posts are shared to social media at no additional charge. Prices are negotiable. Sponsored Post - A sponsored post is a single post about your product, service, or company. An original sponsored post is written by me for an agreed upon fee. If you prefer to provide an original pre-written sponsored post written by you, the editorial fee is negotiable. I reserve the right to edit posts submitted. All payments are due in full before the post goes live on my blog, unless otherwise stated. I accept payment via Paypal. Sponsored posts go live within 72 hours of payment. All links on this blog are nofollow links. All posts are shared to social media at no additional charge. Sponsored Tweet Only - I can send out a tweet (guaranteed to be retweeted by others) to my 15k+ followers contact for rates. I accept payment via Paypal. GIFT GUIDES - Each year, I will create Gift Guides throughout the year, for my readers. If you want your product to be a part of this year's Gift Guide, please contact me via email. There are several ways to gain access to this extra promotion of your product. Your product can be introduced to my readers via a product review or sponsored post, according to guidelines above. Once the product review or sponsored post has been agreed upon, you may then select the option to be part of any of my Gift Guide for an additional $25 unless agreed upon ahead of time, advertising fee. I accept payment via Paypal. This policy is valid from April 11, 2011. This blog is written by Patricia Hancock. You may contact Patricia at savvysweeperblog@gmail.com. ABOUT ME: I am a NY Metro area blogger and social media infuencer I am proud to announce that I was voted to the Top 100 Mommy Blogs of 2018 by Brand Ballot. I love to be creative and enjoy product reviews. I am married 28 years to my HS Sweetheart and we have an adult son. I have had short stories and recipes published in various periodicals and books including Parade, Gooseberry Patch, Great Poets of our Time, etc. ANY CONTENT BEING PUBLISHED ON ANY OTHER WEBSITE OR PAGE WITHOUT MY WRITTEN CONSENT IS A COPYRIGHT VIOLATION. Brand Ambassador for various brands.